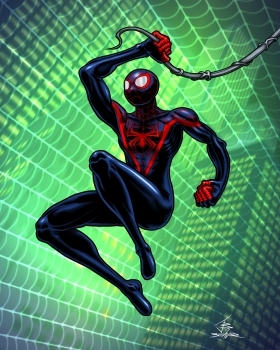 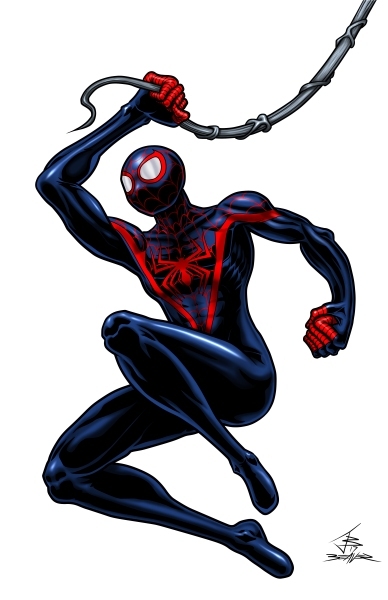 Drawn by request, Miles is probably the most recently made character from one of the 'Big Two' comic companies. I've never drawn a Spider-Man who wasn't an adult Peter Parker, so it was weird to avoid drawing him with that build. 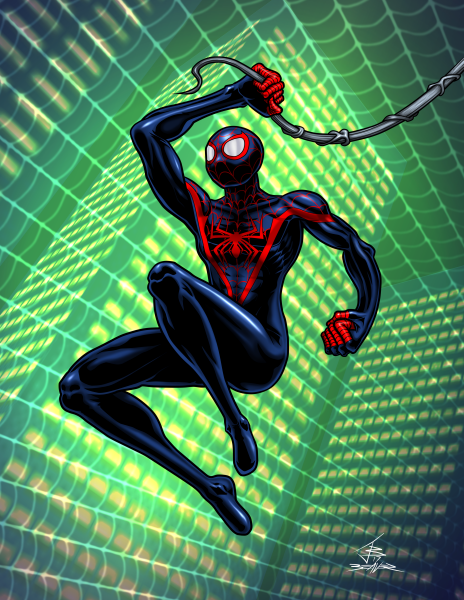 Inking done with Clip Studio Pro, coloring done with PaintShop Pro X5, background elements made with line art and pixel art applied to simple meshes made in Blender.